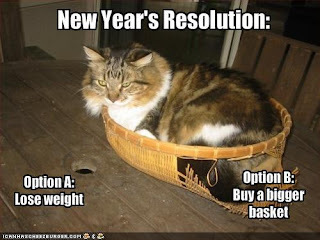 I last posted these 'Characters' New Year Resolutions' a few years ago and they're always popular, so here they are again, new and improved, plus some extras. Gulliver: Don't lie down in other people's countries. Red Riding Hood: When taking cakes to grandparents, go via the main road. Dr Frankenstein: Use a wider variety of materials for future craft projects. The Three Little Pigs: Begin with the bricks. Jay Gatsby: Never let a woman drive. Lennie Small: Let go of the soft things earlier. Mr Bennet: Don't bother with sarcasm that no one gets. Dorian Gray: Keep the portraits in the kitchen. Three Men in a Boat: Leave dogs at home. Jane Eyre: Ask for a full tour of the house on the first day. 1. There is always another supermarket queue shorter than yours. However, should you join it, you'll find the person at the front of it has lost her bank card, has a box of broken eggs that need replacing, and has just remembered that she left a small child in the crisps aisle. 2. Everyone beetling up and down the main street is radiant with Christmas cheer and goodwill, but only on the inside, deep down. On the outside, they look as though they'd like to batter Santa senseless with a box set of Game of Thrones. 3. It is only once you have hurled yourself through the crowds into Baby Gap, up a long flight of stairs with all your shopping, navigated your way through hoodies, pyjamas, teeshirts and pinafore dresses, and asked three people where you'll find the socks, that you will remember you have no idea what size your grandchildren's feet are. When I was about nine, I was invited to a fancy dress party. 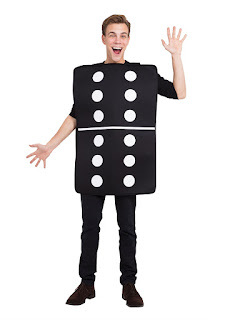 My mother, with little time or inclination for making or buying costumes, sent me as a domino. 1. Take one naive, unsuspecting small child. 2. Take one old grey-white cotton pillowcase. 3. Take one indelible black pen. 4. Draw a horizontal line half-way down the pillowcase on both sides. 5. Draw large dots in the blank squares. 6. Undo half of the seam at the top of the pillowcase so that it can fit over the child's head. 7. Encase the child in the pillowcase. 9. Send child to party. 10. Enjoy a quiet afternoon alone while your child learns that other parents make angel costumes or buy Superman outfits for their children and that sometimes life is the pits. A quick Google search tells me that, should I wish to repeat the experience forty-six years later, I could.